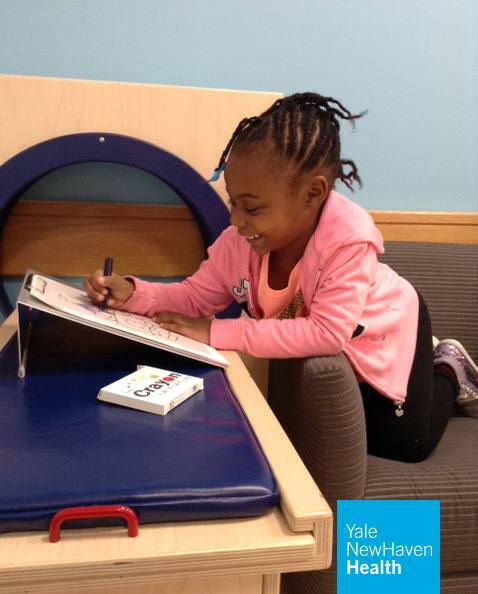 The Crayon Initiative has partnered with Child Life at Yale New Haven Children’s Hospital by donating hundreds of boxes of crayons to pediatric patients several times a year. The Crayon Initiative organizes crayon collections that take unwanted crayons, re-manufactures them, and provides them to hospitals caring for kids. These crayons help alleviate anxiety, provide psychological support, and offer creative outlets for self-expression during a hospital stay.